St Paul’s Walden Bury was the Queen Mother’s childhood home, and the gardens were also one of the first places I was privileged to shoot when I left the civil service to become a photographer. I have always loved this view of the house: the slightly threatening looking sky above, the long stretch of bright green lawn, and the frame provided by the curling and blossom-laden branches. And then, at the heart of it all, the house nestling quietly, a haven of calm and safety. 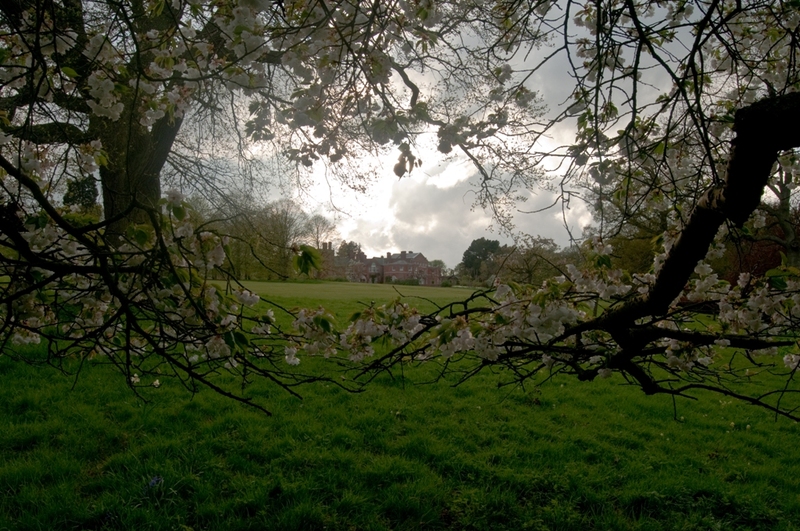 This entry was posted in Landscape, Photography and tagged blossom, calm, country house, frame, garden, grass, house, photograph, Photography, Queen Mother, safety, sky, St Paul's Walden Bury. Bookmark the permalink. This is a gorgeous shot. Evokes a nostalgic feeling, makes me miss a place I’ve never been.